My last essay mined the footnotes of Jan Nattier's excellent article 1992 on the provenance of the Heart Sutra. Her article is a remarkable piece of scholarship and repays close study. The footnotes are no less interesting and in this essay I want to expand on a single long footnote: 54a (211-213). The 'a' is added because this information was included just as the article was going to press and the note, amounting to two full pages, had to be squeezed in, sans any Chinese characters (which in any case were hand written on a separate page at the end of the article). As we can see by simple comparison Conze is stretching things somewhat with this comparison. Of the Heart Sutra terms only anuttara 'unexcelled' has an actual parallel and it is a rather common superlative applied to any and all Buddhist ideals. Nattier cites two letters sent to her by Nobuyoshi Yamabe. Yamabe San completed a PhD at Yale in 1999 and is the author of several books on Buddhism. Yamabe identified a number passages in Chinese which closely parallel the Heart Sutra epithets. Nattier adds two extra passages to those identified by Yamabe. We'll begin with the passage found in the Aṣṭasāhasrikā Prajñāpāramitā Sūtra (Aṣṭa). This text is the basis for the Pañcaviṃśatisāhasrika Prajñāpāramitā Sūtra (Pañcaviṃśati) and is therefore of some interest. Also the existence of a clear Sanskrit text allows us some insight into another matter. 般若波羅蜜多 bōrěbōluómìduō is a transliteration of prajñāpāramitā. A short digression here. The Middle Chinese pronunciation of 般若波羅蜜多, reconstructed from rhymes, but lacking information on tones, would have been ban ya ba ra mil da. As we will see shortly the Aṣṭa is written in Classical Sanskrit. However the transliteration banya suggests a spelling more like Pāli paññā than Sanskrit prajñā. 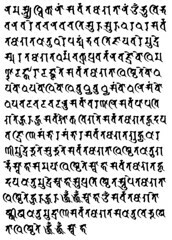 Baum and Glass's interim Gāndhārī Dictionary record several spellings of prajñā from the Gāndhārī Dhammapada: praña, prañaï, prañaya. The transliteration of prajñā is quite standard across genres. I can find only one variant: 鉢若 bōruò, Middle Chinese balya. It seems the initial syllable was not heard or seen as a conjunct /pra/ by early Chinese translators even when we can be reasonably sure the text used it. 神 shén is a term from Daoism that is sometimes used to translate Sanskrit ṛddhi 'supernatural power' or even deva. Generally is means 'supernatural, divine' or 'magical'. It's missing from all of the Sanskrit versions of the text, which opens the possibility that it was added to the Chinese after the Sanskrit text was created. Prajñāpāramitā is an unequalled vidyā (呪). As in the last essay, one doesn't need to know Chinese to see that these are the identical characters, except that the anomalous 是大神咒 shì dà shén zhòu is absent. If one knows that Chinese languages, like English, are subject-verb-object languages, one can even guess that 是 means 'is'. Also note that in the Aṣṭa the last syllable of prajñāpāramitā is left off, which is typical. The reason for translating 明呪 míngzhòu and 呪 zhòu as vidyā becomes apparent when we look at the Sanskrit text below. Note also the substitution of 呪 zhòu for 咒 zhòu, on which I will say more below. O Kauśika, the perfection of wisdom is certainly a great spell. O Kauśika, the perfection of wisdom is certainly an immeasurable spell. O Kauśika, the perfection of wisdom is certainly a measureless spell. O Kauśika, the perfection of wisdom is certainly an unsurpassed spell. O Kauśika, the perfection of wisdom is certainly an unequalled spell. O Kauśika, the perfection of wisdom is certainly a peerless spell. Kauśika is one of the epithets of the Vedic God Indra, usually called Śakra (Pāli Sakka) in Buddhist texts, who plays an important role in early Buddhism and is one of the main interlocutors of the Aṣṭa. The context here is the Perfection of Wisdom per se. Both apramāṇa and aparimāṇa mean 'not-measured or measureless'. Similarly both asama and asamasama mean 'without equal'. I translate vidyā here as 'spell', as the context shows that the idea is something to be spoken or chanted that has magical powers. There is an irreducible element of magical thinking in these texts that is inherent in their pre-scientific world view. It's nothing to be embarrassed about. Note that the word in Sanskrit is vidyā throughout, and not mantra or dhāraṇī. Here we see 明呪 míngzhòu translating vidyā. Note that in the Heart Sutra epithets we get the sequence 大明咒，無上咒，無等等咒. In the context of the Heart Sutra the tendency is to see 明 as an extra character: the great 大 knowledge 明 mantra 咒. We know from the Aṣṭa passages that 明呪 means vidyā, so we ought to read 大明咒 as 'great vidyā'. And this means that 咒 is a shorthand reference to vidyā. The character 明 is being dropped from the other epithets, not added to only one of them. This passage from the Aṣṭa is a slightly more elaborate version of what we find in the Heart Sutra. Now compare the parallel passage in Kumārajīva's translation of the Pañcaviṃśatisāhasrikā Prajñāpāramitā Sūtra (T 8.223). Shì bōrěbōluómì shì dàmíngzhòu, shì wúshàng míngzhòu. The prajñāpāramitā is a great vidyā, an unsurpassed vidyā. evam ukte bhagavān śakraṃ devānām indram etad avocat: evam etat kauśikaivam etat, mahāvidyeyaṃ kauśika yad uta prajñāpāramitā, anuttareyaṃ kauśika vidyā yad uta prajñāpāramitā, asamasameyaṃ kauśika vidyā yad uta prajñāpāramitā. Bōrěbōluómì shì dàmíngzhòu, wúshàng míngzhòu, wúděngděng míngzhòu. The prajñāpāramitā is a great vidyā, an unsurpassed vidyā, an unequalled vidyā. Again we see from comparing Chinese with Sanskrit, that 明呪 translates vidyā and here it is not abbreviated to 呪 but spelt out each time. If the core part of the Heart Sutra comes from the earlier passage of the Pañcaviṃśati then this passage suggests that the epithets were also borrowed, probably from this passage. Except that it is clear from the context that these epithets are not describing the mantra, but the perfection of wisdom itself. We associate the epithets with the mantra because the word mantra appears in the Sanskrit Heart Sutra. The word is used just twice in the Aṣṭa and not at all in the Pañcaviṃśati (suggesting perhaps that the Aṣṭa occurrences are interpolations). Vidyā has a number of connotations. Clearly both Aṣṭa and Pañcaviṃśati are applying the word to the prajñāpāramitā per se, not to the mantra (as we typically read the Heart Sutra). Vidyā derives from the verbal root √vid 'to know, to discover' (cognate with 'wise, wisdom' etc). Sometimes you'll see vidyā translated as 'science' but the whole context is pre-scientific so this is anachronistic. No body of knowledge before ca. 1700 fits today's definition of science, which is not to say that there was no valid knowledge, only that it could not be considered scientific until the scientific method ha been invented during the European Enlightenment. Vidyā means knowledge in a particular field: knowledge of the Vedas, knowledge of political governance etc. Knowledge cultivated through learning and experience, rather than divinely inspired knowledge or insight. It also have a magical connotation. Knowledge in the sense of vidyā bestows control over the subject studied, when one thoroughly knows a subject one is said to have "mastered" it. Ironically we are stuck using 'wisdom' for prajñā, which means (and is cognate with) knowledge; and 'knowledge' for vidyā, which is cognate with wisdom. Although vidyā later becomes, at times, almost synonymous with mantra, at the time the Aṣṭa was composed, and probably even the Pañcaviṃśati, Indian Buddhists still probably thought of mantras as the spells mumbled by Brahmins (for money) at ceremonies. The Pāli texts contain a few passages making it clear that the chanting of mantras is un-Buddhist (DN 1 [i.9]; SN 7.8, SN 28.10, Sn 480). By contrast the chanting of parittās, or protective texts, was already established as a popular Buddhist practice in the Milindapañha, which predates the Aṣṭa. The parittā practice may well be connected to the idea of the saccakiriyā (Skt satyakriyā) or 'truth act'. This practice, attested in for example the Pāli Aṅgulimālā Sutta, insists that plainly and clearly stating a truth can alter reality. Aṅgulimālā, for example, uses a saccakiriya to ease the pain of a women and baby experiencing a difficult childbirth. Many other examples are found in Pāli. Some scholars have attempted to link the practice to similar ideas in Vedic culture. There is even a suggestion that some aspects of the power of truth are Indo-European. Holding a red-hot axe-head is a test of truth in both Vedic and Celtic literature for example. It may be that by chanting a sacred text aloud, sacred texts being true by definition, that one might avoid calamity or avert disaster. As mentioned last week, this was how Xuánzàng used the Heart Sutra. We can see that Nattier's theory explains the changes that occur in the word vidyā. In this case the Sanskrit Pañcaviṃśati (itself based on Aṣṭa) uses the word vidyā. Kumārajīva translated this as 明呪 míngzhòu, the usual translation of vidyā. The Heart Sutra first uses 明咒 míngzhòu then abbreviates to 咒 zhòu; where 咒 zhòu is a homonym for 呪 zhòu meaning dhāraṇī (or mantra). This is then back translated as Sanskrit mantra. The change from 呪 zhòu to 咒 zhòu might have occurred for any number of reasons, not excluding simple error based on similarities of sound and graphic form. It is interesting to note here that T 250 (attributed to Kumārajīva) has 明呪 míngzhòu in each of the epithets, which conforms to the general pattern of Kumārajīva's translations noted above. Nattier's conclusion regarding T 250 is "[it] was based not directly on his version of the Large Sūtra, but on citations from the sūtra contained in the Ta chih-tu lun*" (187). * i.e. T 25.1509 大智度論 Dàzhìdù lùn (Mahāprajñāpāramitāśastra) Attributed to Nāgārjuna and translated by Kumārajīva. At the time the Heart was composed in China we might expect the key term to be dhāraṇī, since the mid seventh century date proposed by Nattier slightly predates the arrival of Tantra in China, while dhāraṇī texts, such as the Karaṇḍamudra Dhāraṇī depicted above, were and to some extent still are, a central aspect of Chinese Buddhism. 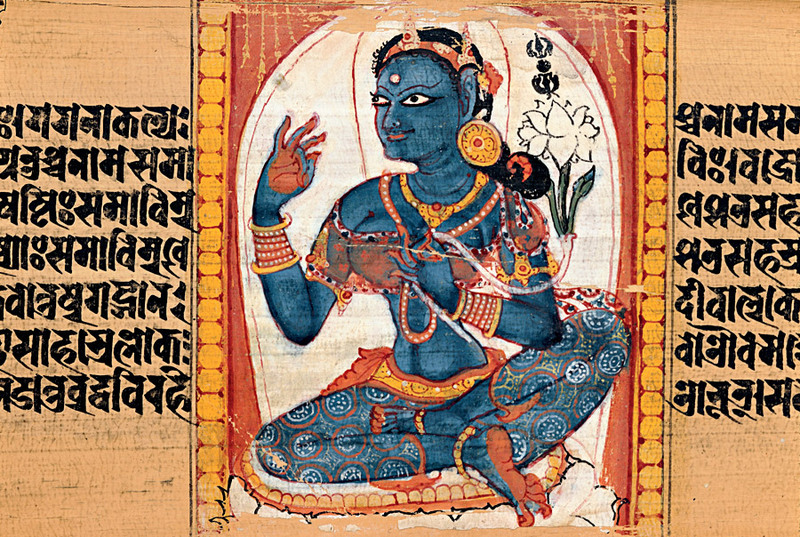 The first Sanskrit version of the Heart Sutra was produced in India, probably in the late seventh or early eighth century at a time when Tantra was in full swing. These dates coincide for example with Stephen Hodges' proposed dates for the composition of the Sarvatathagata-tattvasaṃgraha. In such an environment mantra might have be the natural translation of 咒. Hence find a mantra where we expect not to and, according to my own definitions, where we might expect to find a dhāraṇī. tasmāj jñātavyam prajñāpāramitā mahāvidyā anuttaravidyā asamasamavidyā. It should be understood that the perfection of wisdom is great knowledge, supreme knowledge, peerless knowledge. Takayasu Kimura (2010). Pañcaviṃśatisāhasrikā Prajñāpāramitā Vol. I-1, Tokyo: Sankibo Busshorin 2007. Online: http://fiindolo.sub.uni-goettingen.de/gretil/1_sanskr/4_rellit/buddh/psp_1u.htm [Input by Klaus Wille, Göttingen, April 2010]. McBride, Richard D, II. 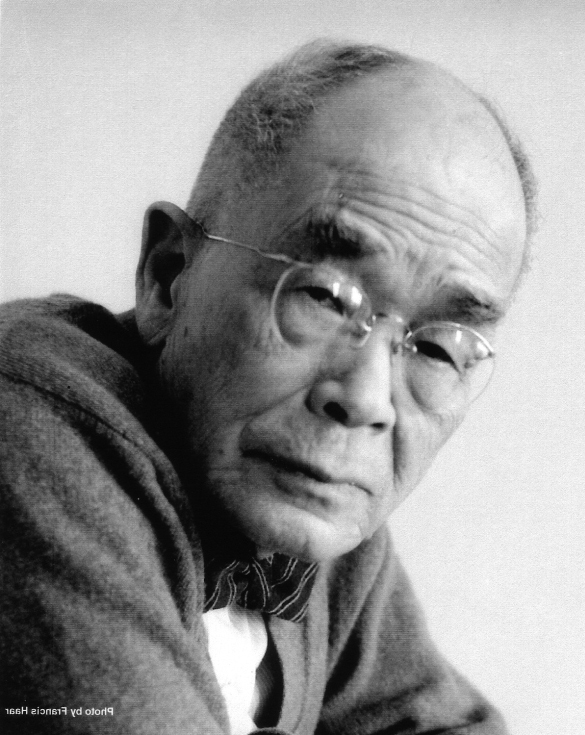 (2004) 'Is there really "Esoteric" Buddhism?' Journal of the International Association of Buddhist Studies. 27(2): 329-356.